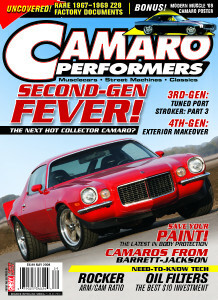 Mary's Camaro is on the cover of CAMARO PERFORMERS MAGAZINE May 2008 issue! These are older photos from the first build. 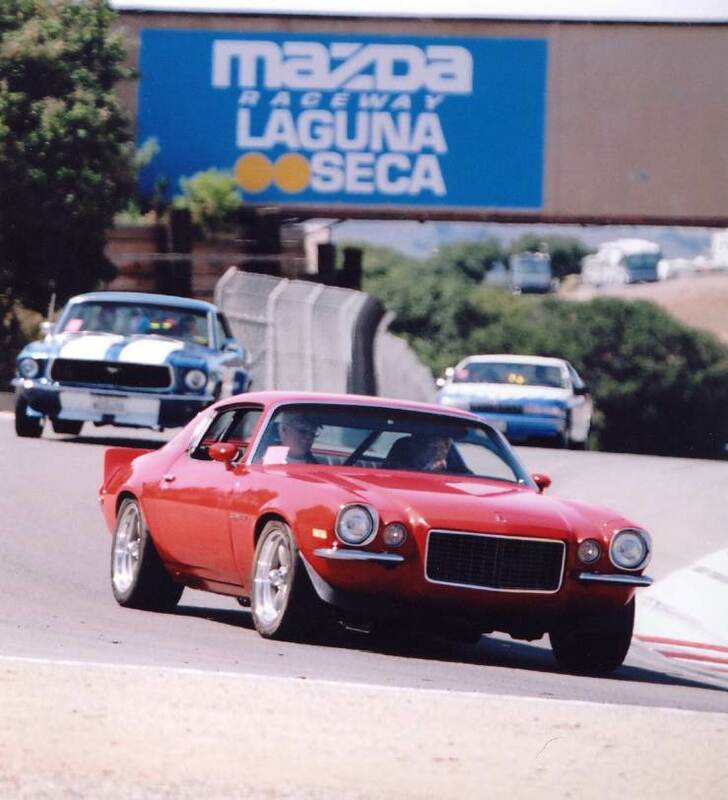 As of 2017, the car has been Re-done mostly by Cris at JCG in Oxnard CA with new Lingenfelter LS7, Tremec T56 trans and new paint & minitubs. Mary and I have installed an Art Morrison front subframe and their new IRS suspension in the rear. The car now runs 335x18 rear tires and 315x18 fronts. The IRS instal is linked below but most of the other mods have been improved upon. 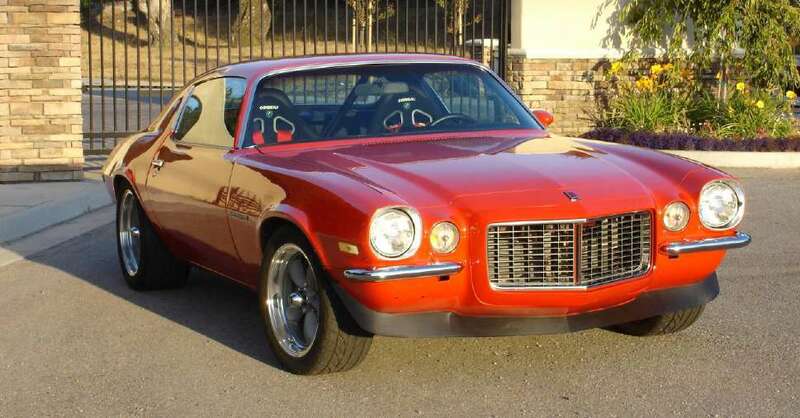 Here are some photos of Mary Pozzi's 73RS camaro project. She is doing a lot of the work on it herself. The car is pretty sound and will recieve Baer brakes, Hotchkis suspension, AGR steering box, Vintage Wheels 17", Carrerra Seats.Her Goals are great handling, braking, and mid 400 hp. A car that can be street driven a lot, autocrossed, and driven in open track events. Here it is with new suspension, brakes, seats, ft spoiler and wheels, The wheels are F 17X8, 4.5" bs R 17X9.5 5.5"bs. TIRES F 245/45/17 R 285/40/17 Thanks to N Memory for posting those offsets and sizes on http://www.nastyz28.com I recommend using 4.75" or 5" backspace on the front wheels but 4.5" was the max available from vintage Wheel. The 4.5's work for us because we have the factory bumpstops and .5 deg neg camber. NOTE: I just checked front wheel clearance, If we used any more back space than 4.5", the tires would hit the Hotchkis anti-roll bar at full lock, they are almost hitting now. The tires sometimes barely kiss the rear inner fender well at full lock at a point about 4" up from the bottom. A 245X40 tire would be a little shorter and would probably fit a bit better, but isn't available in all brands. I tend to stay away from very short profile tires on the front, I have experienced poor tire recovery on some that we autocrossed on. By recovery, I mean if the tires are pushed too hard and "give up" in a turn, they take longer to recover and regain traction after you ease up. 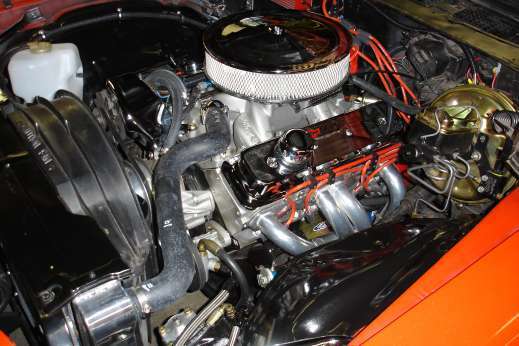 GM Performance Parts 383. Great engine, lots of torque. Mary is driving in the Laguna Seca track tour, Cherries Jubalee car show 2005 the car now has the new rear spoiler installed. 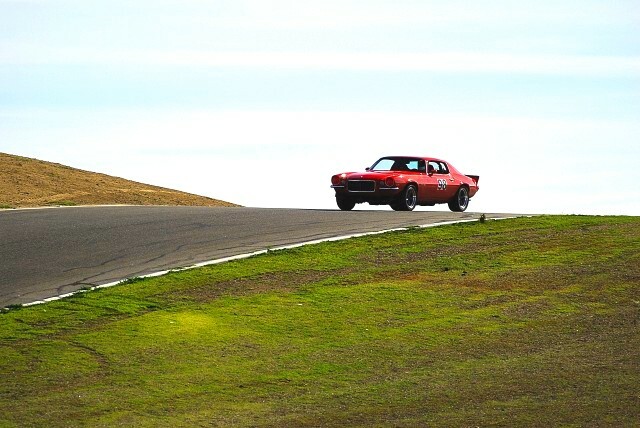 As of spring, 2015, this car has been completely transformed into a super-Camaro & Mary is winning event after event. I'll have to do several pages to cover all the improvements. Video below of Mary running at the Goodguys Finals in Scottsdale finishing 4th behind 3 corvettes.